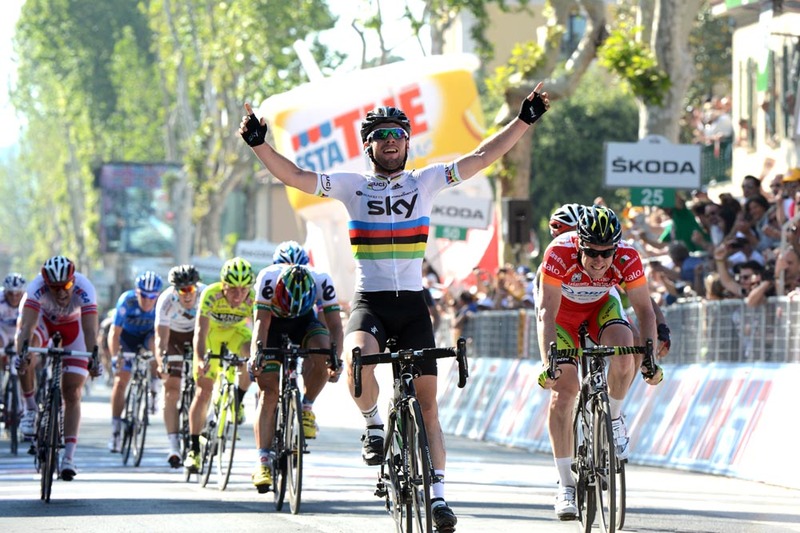 Mark Cavendish (Team Sky) showed that his sprinting ability remains unaffected by Monday’s crash when he claimed his second stage of this year’s Giro d’Italia in Fano. 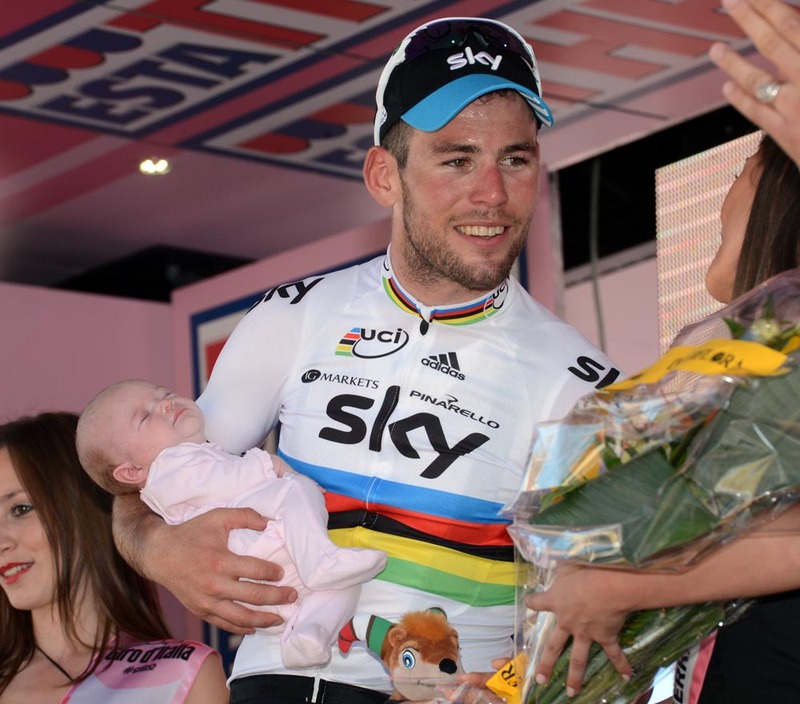 With girlfriend Peta Todd and their recently born daughter Delilah waiting for him at the finish, the world champion took the victory a length ahead of former team mate Matt Goss (Orica-GreenEdge). Radioshack-Nissan’s Daniele Bennati claimed third with South Africa’s Robbie Hunter in fourth. Ramunas Navardauskas maintained his lead in the race although his Garmin-Barracuda team mate Tyler Farrar dropped from second place after getting tailed off by the bunch on the run in. Cavendish received another good set up from his Sky team mates despite an attempted highjacking from Orica in the final kilometre. Lead out by Geraint Thomas on the front, he perfectly anticipated the jump from Goss behind and held him there to the line. Starting from Modena, a town famous for its balsamic vinegar, the stage traced an almost dead straight line down the edge of the Po valley to the Adriatic seaside. Almost pan flat for the first hundred miles and broken by just a few low lying climbs on the coast, it was a day that had sprint written all over it from the start. Nonetheless an early four-man move did try their chances. 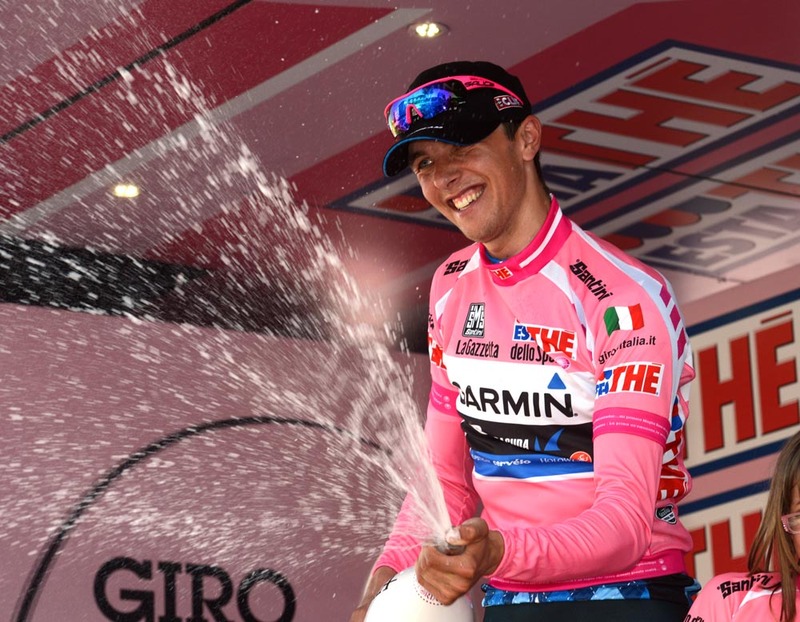 Comprising Alessandro De Marchi (Androni Giocattoli), Pier Paolo De Negri (Farnese Vini-Selle Italia) and the Lotto-Belisol pair of Olivier Kaisen and Brian Bulgac, they gained a maximum of around six minutes before a chase led by Liquigas reeled back its fragments with 20km to go. It proved another difficult day for Taylor Phinney, his ankle still strapped from crashing alongside Cavendish on Monday. The former race leader came down in a fall in the final 40km after Lucas Sebastian Haedo touched a wheel in the bunch.